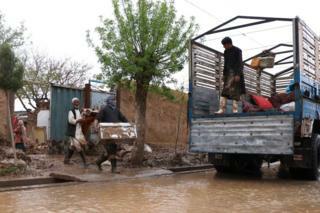 Flash floods in western Afghanistan have killed at least 32 people. 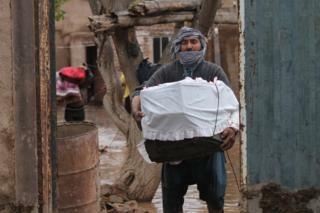 Thousands of homes have been destroyed by heavy rains, as have makeshift shelters housing displaced families. 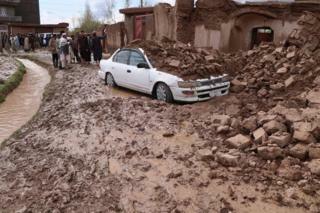 Seven provinces have been affected by the flooding, with Faryab, Bagdhis and Herat bearing the brunt of the damage. The disaster has added to the suffering of hundreds of thousands of people who were forced out of their homes because of severe drought in the region last year. 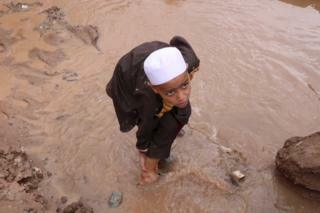 Aid workers have been struggling to deliver assistance to the people who need it. Poor infrastructure makes it hard for humanitarian workers to reach isolated areas. 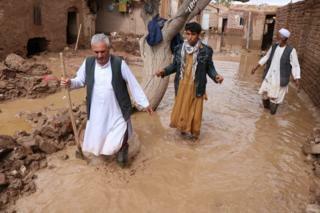 Shir Ahmad, who lives in the Enjil district of Herat, told Reuters news agency: "My house and my farmland have been destroyed by the floods. 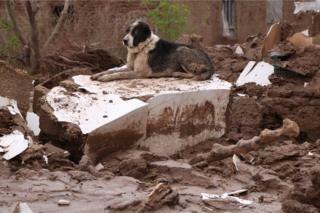 If you go and see the destruction, it makes you want to cry."